At age 7, I got Junior her AR. 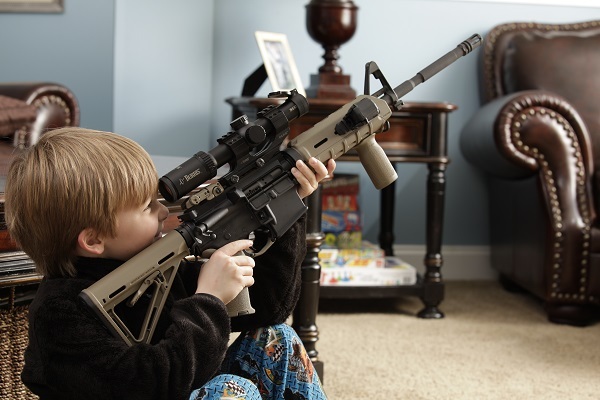 My son reminded me that he is now seven and was wondering where his AR was. I asked what color he wanted and he said green. Coincidentally, I had one. So, I gave him my Colt. Now, I need my own AR. And I’ll probably get him a different sight. You are a good dad! Man, I don’t want to sound like our wives, but you call that “Green”? I can get you a pretty good deal on a NIB RRA LE-LAR-15… heh, heh, heh. Please tell your son “Good finger placement”, by the way.